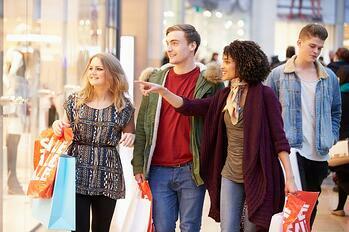 Are you wondering how to increase foot traffic to your retail store? Winning the loyalty of customers can be challenging, but it isn’t impossible. With a strong online presence, inviting store-front appearance, and excellent customer service, your retail business can begin to see a significant increase in customers and sales. The following best practices for increasing foot traffic can help you get started. When your customers enter your store they expect to be greeted warmly. Most people don’t want to shop at a store that is cold, uninviting, and unfriendly. Customers want to feel like they can come in and stay awhile, without being rushed, pressured to buy, or ignored. Even when your store is busy, your customers should be made to feel as though they are the only ones there. Some of the larger retail stores, such as Apple, are always busy and crowded. But what makes companies like Apple stand apart from the competition is their desire to make each customer feel as if they are unique. The associates greet each person that enters the store, making each one feel like they have all the time in the world to offer their assistance. When your customers are greeted warmly, engaged with, and made to feel welcome, they will come back — again and again — and they will gladly tell others about the wonderful experience you have offered each one of them. In addition to creating a unique customer experience, it’s important you also create a welcoming appearance that invites customers inside and generates sales. You want to draw customers in with attractive signage, pleasurable and clutter-free window displays, an open door, and warm lighting to adequately light your store for every season and time of day. Keeping the store clean, dust free, and uncluttered will attract more people, provide a sense of calm, and an escape from life’s stresses. There is nothing worse than over-stimulating displays, cluttered shelves, or a poorly-lit store. Your store’s appearance should elicit a sense of wonder, excitement, and peace for your customers. With an attractive store-front and visually appealing environment awaiting curious shoppers, you are now ready to provide a valuable experience for each person. Your outdoor signage is the cherry on top. Often, this is the first thing your customers will see. Let your customers know why they should walk into your store. What are you offering? How will they benefit? Do you offer seasonal promotions, as well? Make sure your outdoor signage is explicit about any markdowns, loss leaders, or bulk-pricing you are offering. Creating an outdoor store sign is also important for building your brand, attracting passersby, and for marketing purposes. Promotions that increase retail store traffic should be time-sensitive, create a sense of urgency, and encourage your customers to act fast. With busy lives and demanding schedules, most people wait until the last minute to take advantage of a sale. With time-sensitive offers, customers are more likely to make a purchase, knowing they have limited time to benefit from the savings. And, according to the experts, time-limited promotions such as “25% off — offer ends Saturday” versus “save 25%” are more successful. This call-to-action (CTA) creates a sense of urgency and commands a purchasing action to be taken immediately. Be sure your expiration dates on coupons, promotional emails, and in-store offers are very clear. And don’t forget to include these offers on your outdoor signage. Creating offers exclusive to your social media followers, email marketing recipients, or in-store customers can greatly boost traffic and sales. Be sure your offers are created specifically for each audience and that your customers know the offers are exclusive. With audience-specific, exclusive offers you will be perpetuating the unique experience first created in your store while enticing your customers to return. And once your customers return to your store consider trying one or more of the following promotions to keep them interested: impulse items near the registers, free samples, and/or loyalty programs. Consider hosting events in your store to draw in more customers. Your events can be seasonal, unique to your brand, and/or a community effort you share with other, local business owners. Hosting experiential events is one way to bridge the gap between the consumer and your brand. These events encourage fun and create lasting memories of your business. There are many great ideas available for planning in-store events on a small business budget. Don’t forget to promote, use online and in-store promotions to get the word out, and promote early! Place signs around your store, place a calendar of events into each customer’s bag, send out an event email, place an ad in your local newspaper, send out personal invitations to your VIP customers, and make the event the first thing a customer sees on your website. Events are a great way to market your brand, attract a crowd, and increase sales. It can’t be said enough that a strong online presence is vital and is a significant way to increase foot traffic. A recent study revealed that 3 in 4 customers who find local information in search results are more likely to visit the retail store. Be sure to utilize all of the online marketing strategies available to you, sometimes free of charge. Start with signing up for the free Google My Business account, which will provide your customers with a brief description of your business, a map with your location, hours of operation, address, phone number, website, and a logo or picture that best represents your business. Google will also include a map to your location once you set up your page. Yelp is also a great way to connect with your customers. It’s one of the top ways people search for business recommendations and has an average of 142 million unique visits each month. And don’t forget the power of social media and social sharing. Facebook, Twitter, Instagram, Pinterest, and YouTube are some of the most widely used social media platforms used by businesses to help boost sales. Your customers are online all day and want to find you there, as well. Your business speaks to the customer before he or she even steps foot inside your store. Focus on creating a unique customer experience with an attractive exterior and interior, present a warm welcome, valuable promotions, and a strong online presence that connects with your audience to increase foot traffic to your retail location.